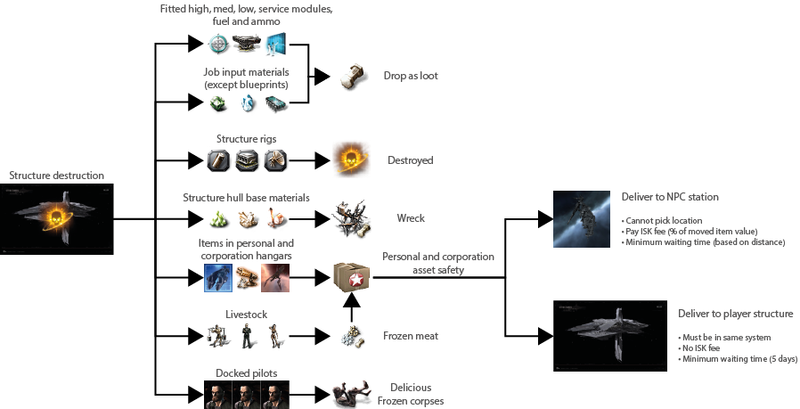 As long as there has been war in EVE there has been talk of problems with the wardeccing system. Having spent a long time as a highsec wardeccer, I am naturally interested in this topic, especially now that CCP has announced more about Citadels. These structures can be deployed anywhere in New Eden, including highsec. The entire landscape of New Eden will change forever. Could these new structures make wardeccing more inclusive for attacker and defender? Wardeccing is a system that allows players to declare war on any other player organisation in the game. The attacker pays an affordable fee to activate the war for one week at a time, starting at 50mil ISK and scaling up to 500mil ISK, based on the number of players in the target alliance/corp. The target is given 24 hours notice before the war becomes active. No terms need to be attached to the declaration, and the defender needs to do nothing. They can literally sit in an NPC station and wait out the whole week. Similarly, the attackers have no need to actually engage the defenders. Many wardecs expire with neither side having sought out encounters with the other. This gives the attackers very few options, and the defenders few incentives to undock. In a game that is all about participation, this is bad. When you join a player organisation you enter the world of EVE politics and become exposed to wardecs. If you have no intention of ever fighting you can always drop back into an NPC corp and never risk a wardec again, but you lose all the perks and benefits of being in a player run organisation. Players want those sandcastle features like POCOs, POSs, low taxes, teamwork, and their own name among the stars, but some of them also have no intention to fight if wardecced. When the target corp stays docked, attrition affects both sides equally. Your mining fleets can’t undock anymore because of solo hunting assault frigates. Your members have to stop running missions for the same reasons. Morale can dip as players weigh up the long term effects of not playing for a whole week. If they can afford to stay docked up, or if they drop out of the corp, the attackers will get bored themselves by lack of content. Unless the defenders have assets in space, like POCOs or POSs, there may be no content for the attackers. This makes the war system boring for both sides. New corps can face a difficult struggle when those wardecs start landing. Without the skills or experience to fight back, they risk losing a lot of their interest in the game. As a consequence, some go as far as not playing the game at all anymore. The attacker does not need to have a reason for the wardec, and many have no intention of hunting their war targets. Instead they may simply be legalising the right to shoot you in highsec space, and more than likely are camping at a trade hub waiting for you to show up. When CCP announced that Citadels will be deployable anywhere in New Eden, it suddenly transformed many of my views on the future of wardecs. They will change more than the economy and landscape of EVE Online. CCP has estimated that these will be anchored by the thousands in New Eden and I think they will be blown up at a similar rate. The options for corps to build and deploy a customisable Citadel should mean that we see very many different variations all over highsec. I suspect there will be many anchored near spawning ice belts. Owners can rent offices to other corps creating a huge space city. Reprocessing and market modules can be installed. The Citadel will even have its own defences and AoE effect modules. When selecting a war target I always aimed to try and make a profit by picking rich ones. A POS with labs used to be the loot piñata of highsec. Theorycrafting your way around such a large target and its defences was all part of the challenge. The plan was always to try and make them undock and fight us. Stealing the tower if they tried to unanchor before the wardec went live was always my favourite move. Then came the POCO replacement wardecs, which were very easy to do in highsec. I would use the POCOs to stage a few fights when the RF timers ended. These were almost always undefended, war targets would simply stay docked while their POCOs were getting replaced. For a war monger like me, Citadels will change all of this and make even the largest tower piñata seem like a T1 frigate killmail. Think of how many players may be using the labs or construction facilities. The owner’s BPs are safe, but all materials used in the jobs can be dropped as loot. All of the docked players become corpses. Delicious. This makes Citadel owners the perfect opponent for a wardeccing corp.
Citadels will finally be something that makes a defender fight back in a wardec. There is every reason to fight and defend this structure. It is your corp’s home. All of your assets are now stored here. You are taking advantage of favourable market taxes and all your buy/sell orders are here. You have it set up 500km away from a spawning Ice belt. It provides you with a tactical advantage when you are undocked in the cover of its AoE weapons, depending on how you fit your Citadel. It is your sandcastle. The nature of these structures should embolden defenders. They will have the upper hand with all “station games” being in their favour since no attacker will be able to dock. Defenders can make use of the Citadel’s tethering capability, which is a new feature designed to replace force fields. You are untargetable and can only be broken off by you leaving the tethering range or activating a weapons timer. While you are tethered you can not be pointed – but until you are tethered you can be pointed. Once pointed you will not be able to dock and must engage. Tethering is your friend to use. These emboldened players are the kind who would previously stay docked during a wardec. Now they are in their own Citadel and lasers are smashing into the structure’s shields. The Citadel could be fighting back all this time as well. Only one person can assume direct control of the station’s defences at a time, which will make user roles an important issue for Citadel owners. New groups will allow station owners to appoint Citadel operators who can assume direct control of the defences. The attackers want content in the form of your wrecks. Failing that, they can now go for the Citadel’s loot and corpse count. What are you going to do about it? A wardec against a Citadel is perhaps not going to immediately lead to these new structures becoming wrecks in space. It sure won’t be an easy task. Null sov is a different creature and doesn’t have wardecs. They kind of make their own rules out there and although the mechanics remain the same the methods do not. All of the Citadels have a vulnerability window that increases with size. The medium Citadel has only three hours of vulnerability per week. The vulnerability window is only known to those with the right roles in corp, or if you are on grid with the structure. Scouting and infiltration are encouraged. Invulnerability timers will still be generally visible. There will now be damage mitigation on structures, so the max DPS applied is capped. CCPs very rough figures at this stage mean it would only take around 5-15 battleships to reach max mitigation on a medium Citadel. CCPs plan is to have each layer take no more than 30 minutes regardless of Citadel size, as long as your fleet is at maximum damage mitigation. The large and XL Citadel have significantly increased caps on the damage mitigation, and will require a much stronger fleet. When the shields are depleted the Citadel enters an invulnerable state. As soon as this ends the armour layer becomes vulnerable. If it is not attacked for 15 minutes it will fully repair itself. If the attackers show up when then invulnerable state ends and take out the armour, it enters its final invulnerable state. When it exits this state the 15 minute repair timer starts again, leaving only the hull HP. To destroy this, the attackers only need another 30 minutes at max mitigation to make a giant space wreck. As before, if the Citadel is not attacked in this time it gets fully repaired, restarting the whole process for the attackers. If the attackers are on time at each invulnerability timer exit the total siege time should be no more than 48 hours by CCPs plans. This could make taking down Citadels a weekend job, and something that could become a very regular activity. The Citadel itself can not be repaired by logistics, but this does not render logistics useless in defending a Citadel. Could several defenders in DPS and buffed ships, supported by a larger neutral logistics fleet, chase off attackers for that 15 minute repair timer to start? Could alpha fleets of Tornados be used to take out one attacking ship at a time? The sandbox nature of the game will mean we see many different tactics being used around these new structures and wardec content. Attackers will be able to bait and escalate Citadels with only one or two ships simply stopping the repair timer from going active. As soon as the defenders break their tethering anchor and attempt to engage, the attackers bring in the cavalry. In many wardecs success is measured by the ISK in the war report. In this, trade hub camping and bottleneck gate camping provide easy killboard padding. Attackers can sometimes get very lucky. Others that do try to launch a full scale attack can be denied those killmails when defenders dock in NPC stations. Attackers ability to threaten the Citadel itself changes things. What are the implications for corps who rent offices and have assets stored in a Citadel that is under a wardec? These corps would still remain neutral. They were not wardecced, but don’t own the Citadel either. However, all corps with offices and assets stored in the Citadel that has been put into an invulnerable state by a wardec should have some way to protect their assets. Sure, they will always have asset recovery. All personal hanger items are saved and safely teleported away if the station is popped. This is a safety feature, but with a 15% fee and minimum five day time cost to the player this is not emergent gameplay since it is completely out of their control. If the Citadel does get blown up they will lose all of their input materials as loot in the wreck. They should be allowed the option of avoiding this mechanic. All residents should be given notification that their Citadel is being attacked. The attackers should be flagged as criminals to all who have assets in the Citadel at the time of exiting an invulnerable state. This gives these players the opportunity to bail out their belongings, or participate in the Citadel’s defence. They only need to stop the damage for 15 minutes after all. Flagging the attackers as criminals allows Citadel residents that option. The attackers wouldn’t be able to engage any of them until they open fire first. In this way defenders could make rally calls to the inhabitants to help protect the citadel. After all, they can’t rely on Concord’s help here. This could significantly change the battle if a well-populated Citadel is forced into an invulnerable state. Your corp may only have six players online, but the Citadel might have 47 resident players active. A Citadel owner’s diplomacy could be the most important factor in its defence. You want to attract players to live in and use your new super structure. This may only be your corp and alliance members to start. You might even make a freeport open to all. Either way, you will have to use the fittings and modules to make your Citadel work for you. The inhabitants need more than asset recovery to truly commit to your highsec citadel. Low industry and market taxes will assist in ensuring your Citadel is being used. Perhaps you can run a form of SRP for anyone who helps defend, offer discounts on ammo and ship hulls or royalty free docking. There are many number of ways to build up your Citadel and make it attractive for residents, but the more heavily used it is the more attractive it will also become as a wardec target. The landscape of highsec in New Eden could soon change as often as null sov currently does when Citadels are added. 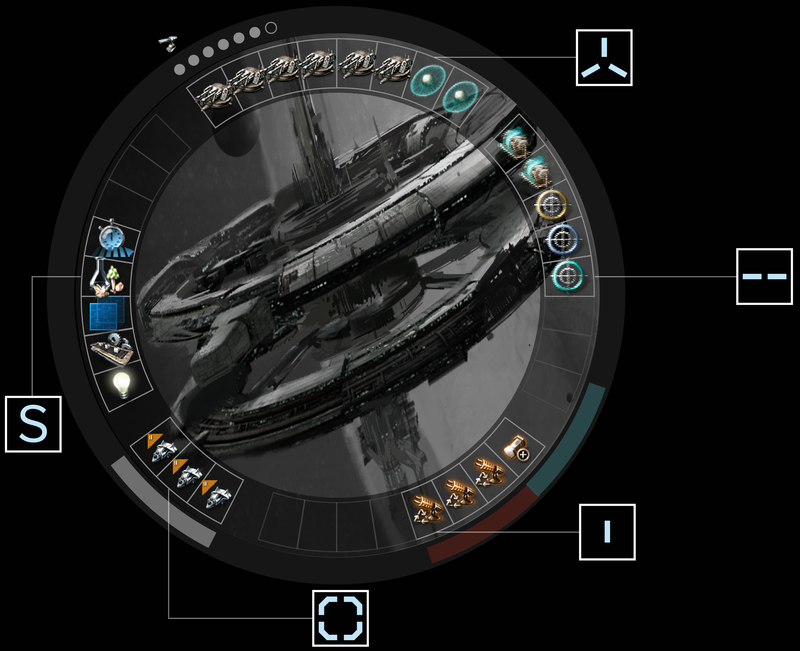 CCP Fozzie has said that the first corp to build an XL in highsec will have a huge advantage. 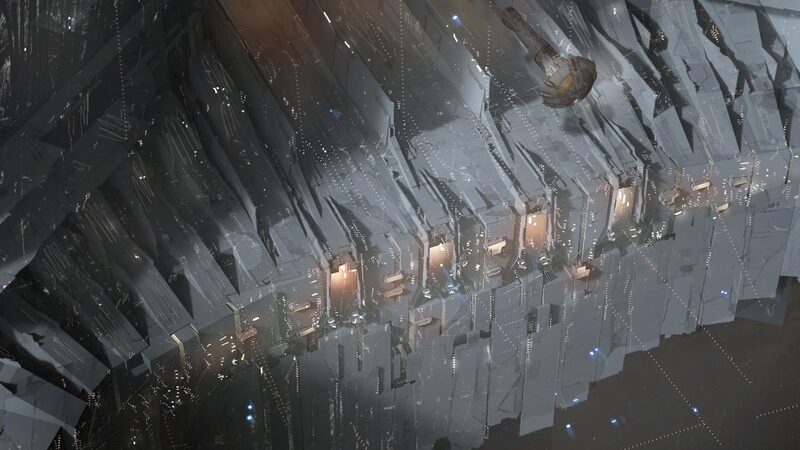 Trade hub locations may even change as players build up their own highsec markets in New Eden, and competition between them will bring war and content. Citadels will make wardecs more engaging for a player like myself. Defenders may actually come out and fight now and try to push my fleets away. If you prefer trade hub camping, your way of life is slowly coming to an end. Players will be able to make their own market hubs, more local to their own areas of space. The sense of security and ability that a Citadel gives a defender will ensure that they break free from those tethers and engage the attackers. Content by mutual consent. Almost. War is coming. Players will have to adapt entirely to the changes Citadels will bring to the game.